The center performs about 300 cases a year and is the go-to-doctor for liposuction in Houston. The Houston Liposuction Center is proud to provide amazing before & after photos. View this gallery and imagine your own transformation. Liposuction is used by many in order to help achieve a more superior body contour*. A form of cosmetic surgery, liposuction is the process of removing excess fatty tissue from those less than perfect areas of the body; and with more advanced techniques today, may be performed without the use of general anesthesia (local numbing only). Predominant areas treated are the thighs, buttocks, abdomen, hips, back, upper arms and chin. If you are frustrated with unwanted fatty tissue, then liposuction is a great way to eliminate these exercise-resistant fat pockets instantaneously*. Treated areas will produce a slimming effect with more desirable body contours. As our body is the way we present ourselves to the world, maintaining a good body contour is very important. Most of us have struggled with stubborn fat that just won't go away. If you are frustrated about unwanted fatty tissue, then liposuction is a great and safe way to eliminate it. In the past, when using "traditional" liposuction, major surgery was required and was therefore often a cause for concern. Today, with "advanced" liposuction techniques, such as SmartLipo, better results are achieved with much less apprehension*. Refer to the following table for comparison summary. As a Texas native who has been practicing in Houston since the 1990's, John Bergeron MD has become one of the most highly sought after specialist in "advanced" liposuction techniques that include Tumescent Liposuction, SmartLipo and Vaser Liposuction. Dr. Bergeron's patients both trust and support his expertise; he was awarded Patients' Choice Award (2009 - 2011) and was also voted "Top Doc" from H-Texas magazine. 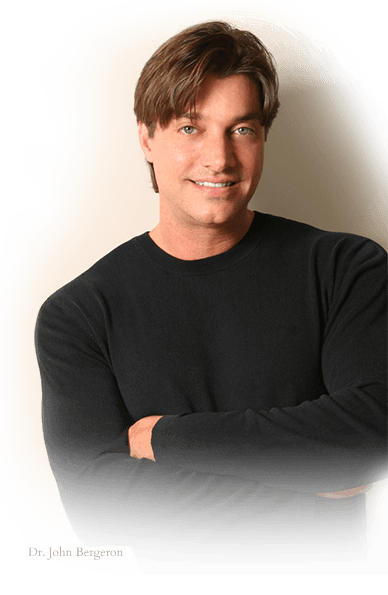 Dr. Bergeron is extremely enthusiastic about providing his patients with the most advanced and safest liposuction techniques and tools available today. I totally love Dr. Bergeron`s work! I liked Dr. Bergeron very much. Would do it again. The above liposuction technologies approach the removal of fat tissue in different ways and must therefore be properly assessed for use by a highly skilled surgeon, such as John Bergeron MD, on a case-by-case basis. Once determined and procedure is accomplished, the results will be astonishing*.